President Uhuru Kenyatta is today expected to address the nation on the state of economy after he rejected the Finance Bill 2018 on Thursday night. Had he assented to the proposed law, implementation of the 16 percent value added tax imposed on petroleum products would have been postponed until 2020. The bill will now be returned to the National Assembly for further debate and amendment as suggested by the Head of State. In his address from State House Nairobi, Mr Kenyatta will seek to assure Kenyans that all is not lost as he gives reasons why he rejected the bill. State House Spokesperson Kanze Dena said the address follows consultations the president made with the leadership of the National Assembly. She did not say what time the president will address the nation. The speech comes on a day many Kenyans seem disillusioned after receiving the news that the 16 percent VAT is here to stay, at least for now. Many took to social media to express their anger, frustration and dissatisfaction, saying the president should have heard their cry and relieved them of the economic burden. 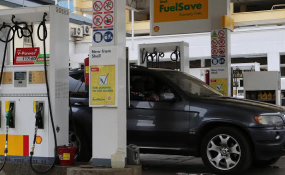 The fuel tax has seen a sharp rise in prices of basic commodities, including those zero-rated in the 2018/19 Budget, like maize and wheat flour. But not everyone is angry with Mr Kenyatta, especially members and leaders of his Jubilee Party. Some commended the president for his actions, with others asking Kenyans to be patient and wait for the reasons that informed the decision. Gatundu South MP Moses Kuria, who had opposed the bill, was pleased with the president's decision and urged Kenyans to move on. "Now we will re-look both fuel VAT & employer-employee 1.5% Housing Fund contribution for the Big 4," he said. "Under the din of political noise, it's a win for those of us who remained sober throughout." Senate Majority leader Kipchumba Murkomen had a similar view: "We must work together to find solutions & for the best interest of country." While Narok Senator Ledama ole Kina sympathised with poor Kenyans who are going to bear the brunt of the tax, he blamed voters for their political choices. "You know choices have consequences. When Kenyans were saying 'tano tena' (Jubilee Party's campaign slogan in 2017) they should have known this was going to happen!" he tweeted. Nairobi Senator Johnson Sakaja, on his part, wanted the tax to be spread so that poor Kenyans can be cushioned. "Our neighbours are at 18% VAT on everything; at 18% you have spread the pain so well so that no one can point out a specific item. That's an option," he said. But Engineer Ibrahim thinks otherwise. He believes the new tax has everything to do with Jubilee government's big appetite for loans, especially those from Beijing. "Finance bill 2018 is bill that was meant to please China and others. The president wanted to show those countries that they can generate a lot of revenue so they may be given loans again... !" For Baba Leo & Leila, the new tax is not bad if the revenue collected is put to good use. "The finance bill 2018 is not bad, the problem is that half of the money will end up in people's pockets leaving Kenyans poorer," he said. But there are those who believe Mr Kenyatta, being one of the richest Kenyans, does not care about the poor. Like Henry M. K: "Whose interest does the president serve when he refuses to hear the cry of Kenyans regarding the contentious finance bill? "Uhuru Kenyatta has just thrown Kenyans under the bus. Now is the time for those legislators who were mourning more than the bereaved to step in regardless of their party differences and 'Unveto' the 2018 Finance bill. 16% of VAT is just punitive!"